Willi Fehr (Michael Peake) pushes a pram along the high street and stops to make a 'phone call, then is aghast to see the pram start rolling away - he chases it but after a contretemps with a sports car it's upturned, and a man's corpse rolls out, bullet holes in his starched shirt-front. Mrs Peel visits Steed, who is busily firing beer cans from a clay pigeon launcher and shooting them with shotguns. He takes her to interview Willi Fehr, formerly a top spy, now relegated to "traffic control" - supplying incoming spies with money and accommodation - but discover Fehr is refusing to talk. Captain Noble (John Woodnutt) who is guarding him tells them the victim's pockets were empty and all the labels removed from his clothes. The suit didn't fit him, so it may have been hired and the only real clue is a tattoo of Eros with the name "Lucille" on his right wrist. Mrs Peel visits a tattooist, Fintry (Alan Gerrard), who offers her a garter on the left leg, or "pretty pink rosebuds, one on each". He confirms he did the victim's tattoo and tells her the man was called Peever. Fehr meanwhile attacks Noble and throttles him, but not before he receives a gunshot wound. He calls someone to warns them they overlooked the hired suit. Steed is already at the suit hire company, Litchen & Co., where Huggins (Graham Armitage) is staring in dismay at the bullet holes. He says they'll never be invisibly mended and Peever's deposit is forfeit. Steed claims to be from Baggypants Ltd. a government-run company which supplies ill-fitting clothes to visiting Russian diplomats, and asks for Peever's address. Steed amuses himself trying on different hats while Huggins goes to find the ledger. A customer (Maurice Kaufmann) intercepts Huggins on his way back and asks for help with his bow tie then stabs him. 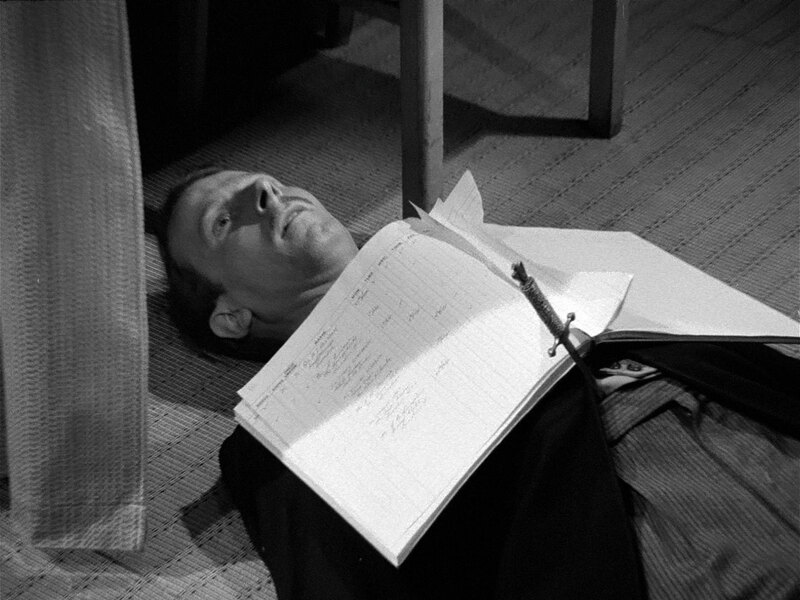 Steed comes to see what's taking Huggins so long and discovers his body, the last few pages torn from the ledger. Emma shows "Peever's" photo to Steed and Captain Noble, who is hoarse after his throttling. She takes the shoes and puts them in Peever's locker, but is caught by the sleazy Ivor who menaces her. She slams his hand in the locker, then Lucille enters and orders her out. Ivor tells Lucille about her looking in Peever's locker. Nicki and Mrs Peel are asked to take two students - one of whom is Peever, and Emma observes his shoes don't fit. Lucille bundles him out to get a new pair, reprimanding him for cursing in Russian, then notices his wrist. 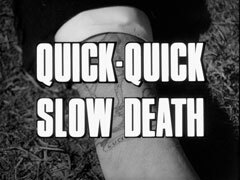 She rushes off to Ivor and tells him to warn the commander - they've forgotten the tattooist! 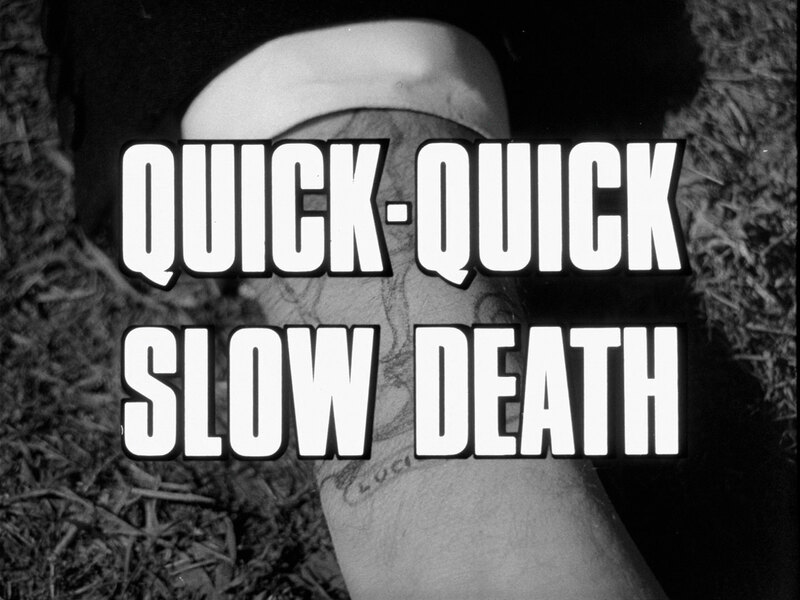 Steed arrives and finds Fintry dead, but he's engraved "KILLER HAS ROSE TATTOO ON RIGHT WRIST" on the sausage. Emma meanwhile is offering Peever some tea, suggesting they get to know each other better and is astounded when Peever says he's about to pass out - he means he's about to receive a diploma and stop his lessons. She confers with Nicki who agrees Peever is a terrible dancer and adds that Lucille give diplomas to just a select few, who are never seen again. 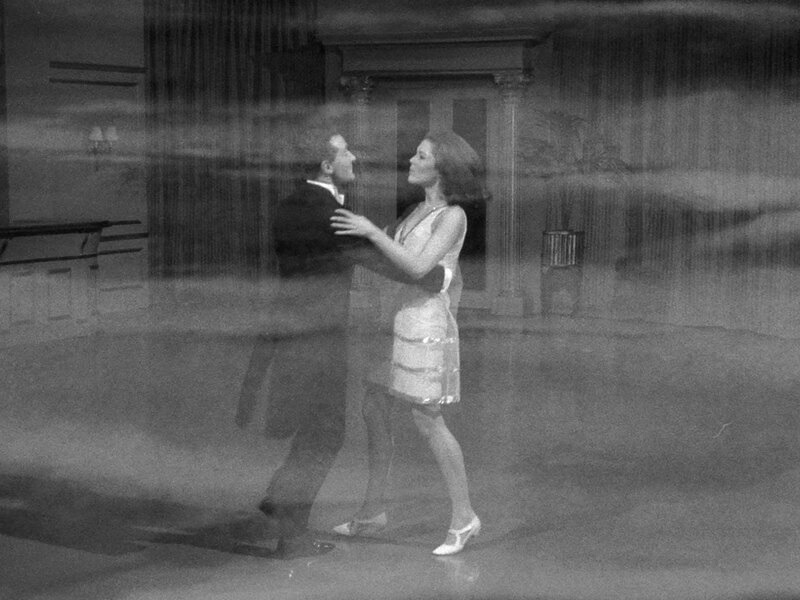 Steed suddenly appears, led in by Lucille and looking to brush up on his dancing. He lays the bait - recently returned from overseas, no friends or family, and she bites - she will teach him personally. Steed slips Emma the sausage and tells her to destroy it after reading. She hides the sausage as Bernard arrives with a package for Nicki. Inside are shoes but Nicki makes her close the package quickly; she explains that Piedi is contracted to supplie the pupils' first pair but Bernard button-holes every pupil outside the school and sells them shoes on the side. Piedi cuts out the middle man and Nicki makes a commission as well; Emma realises that Bernard would have met Peever when he first joined the school. They leaves and then Reed emerges from one of the lockers and tells Lucy what he overheard. Steed looks at Peever's watch and confirms the absence of a tattoo as they put their shoes on. Mrs Peel joins him and tells him she's going to see Bernard. Someone gets there before her and pushes Bernard's face into a bowl of plaster; when she arrives, he's dead. Bracewell returns to report success and Lucy says they must tell the commander - and also tell him that Steed will be their next victim. 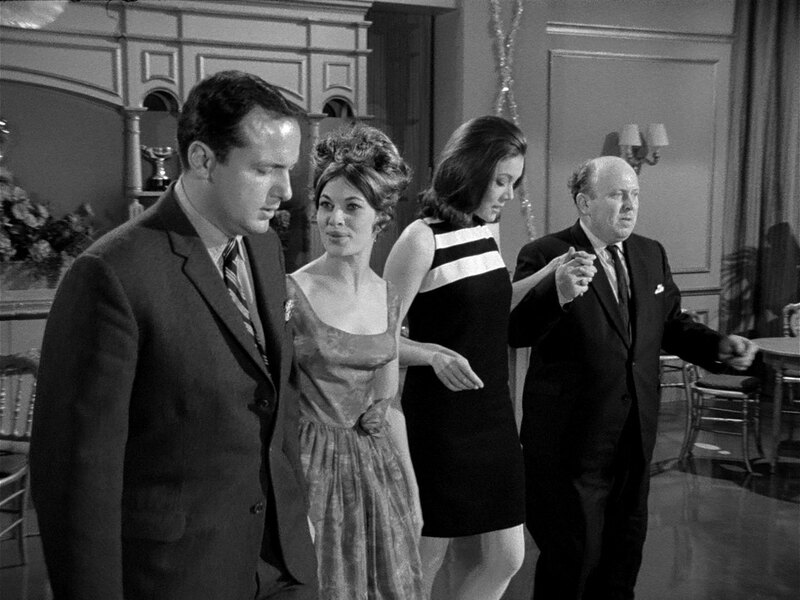 Steed and Emma confer with Noble and decide, as the dancing school is clearly conniving at replacing innocent students with spies, they'll "keep on dancing" and sashay out. At the school, Reed puts up a sign announcing a gala dance and Nicki tells Emma they happen once a fortnight. Emma asks her if she's noticed any changes in Peever and she doesn't think so - but then, he is Lucille's client and she kept him to herself at first. Emma asks if that happens often and Nicki replies once in a while - only the mousey, anonymous ones and she sometimes keeps them apart for three to four weeks. Emma hears music start in the ballroom but the door is locked. She enters the store room and peers through a chink between some crates - Lucille is practicing with a mannequin with the number 9 on his back and dances behind a partition, but when she emerges from the other side it's with a man. Reed stumbles drunkenly into the storeroom and Emma bluffs her way out, saying she was looking for another door to the ballroom. That night, Peever sways groggily as he conducts an orchestra of cardboard-cutouts of himself while taped music plays. Lucille welcomes the students, including Peever and Steed until Reed stumbles past - she grabs him and orders Ivor to get some black coffee. Emma tells Steed what she saw and Steed reveals Noble has uncovered the depth of the plot, but he wants to catch them red-handed. Emma hides when she hears Ivor and the spy coming. Ivor tells him he will be wearing the same number as the victim, 9, and warns him the commander doesn't like slip-ups. 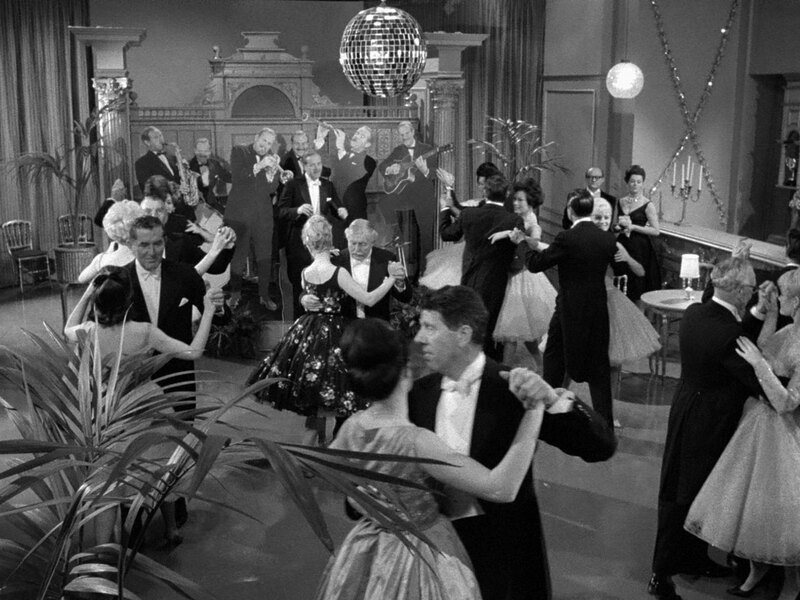 Emma follows them in and Lucille announces there will be a dance competition, judged by Reed. All the dancers will be numbered and masked, so there is no favouritism. She tells Steed about victim number 9 then they're interrupted by Lucille, who tells Steed he is number six. Ivor tugs Emma onto the dance floor and she doesn't see Lucille pin Steed's number upside down. 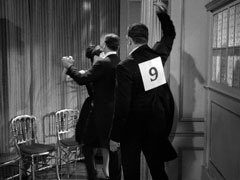 Emma is shocked when she sees the number 9 on Steed's back and warns him - he replies that she's dancing "with garlic sausage" - he's seen Ivor's tattoo. 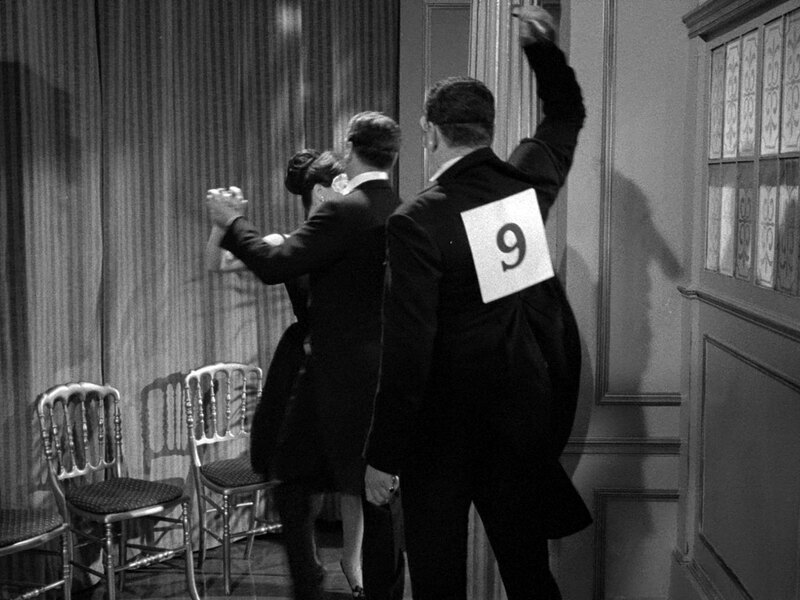 Reeling around the ballroom, she turns Steed's number to read "6" again, and Ivor, who is wearing 6, has his turned by Steed to read "9". Lucille is confused when she dances Steed behind the partition and the spy does nothing; she then sees Emma forcibly dance Ivor behind the partition and sees his number has been changed but is unable to warn him. 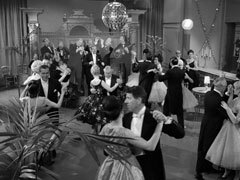 Ivor is coshed by the spy who then takes Emma's hand and dances out with her. Going around again, Steed coshes the spy after abandoning Lucille. Peever and Lucille seek to intervene but they are bundled away by our heroes. Reed, finally revealed to be the commander - his drunkenness is a pretence - pulls a stiletto from inside his baton but he too is easily defeated.